The holidays are a very festive time of the year in Madison. Plenty of events are going on and there are several fun things to do. Here's a look at the holiday events in Madison for 2018. The zoo will become lit up with all kinds of Christmas lights making it a very special time of the year. Enjoying the Henry Vilas Zoo during the holidays is a completely different experience as the entire zoo is transformed into a winter wonderland. Enjoy a warm beverage, stroll through candy cane lane, and really make the holidays special. 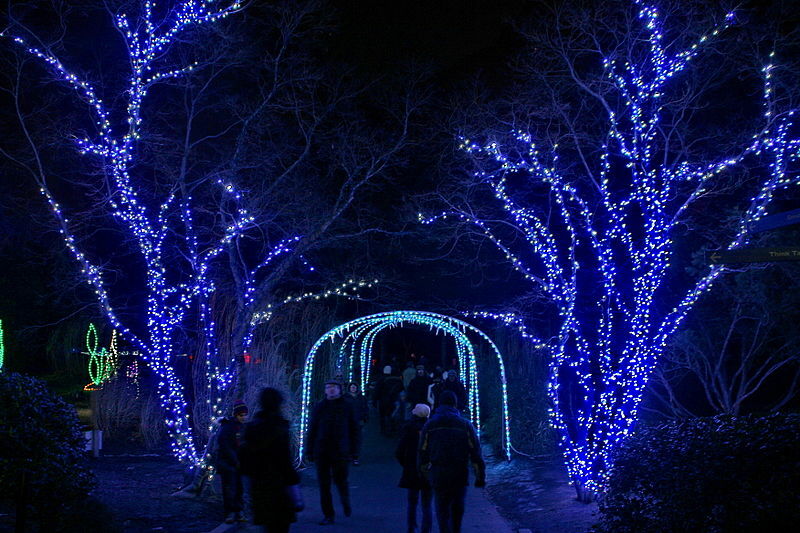 The Zoo Lights will be held Thursday through Sunday each week from 5:30pm to 9pm. It will be closed on December 24th and 25th, but the lights will be open every night of Winter Break from December 26th to 31st. The cost is $7 per person with a family 4 pack of tickets for $24 and season passes available for $44. During the holidays, the Olbrich Atrium becomes a winter wonderland filled with large-scale model trains. You can come and enjoy the fun with plenty of beautiful poinsettias on display and a colorful candy theme. The display is open from 10am to 4pm daily, but will be closed on Christmas day and closes at 2pm on Christmas Eve. Held at Dream House Dream Kitchens in Madison, Waffles with Santa & The Grinch is a great event for all ages. It will be held on December 9th and 16th with professional photos with both Santa and The Grinch. Children can also enjoy glitter tattoos and plenty of fun. The waffles will be provided by Yola Cafe. Plenty of other great events will be going on throughout the season for the holidays in Madison.